It is quite striking in person. It is made out of a thick cotton that resembles vintage gabardine. The shoulders and cuffs are trimmed in cream colored velveteen fabric. 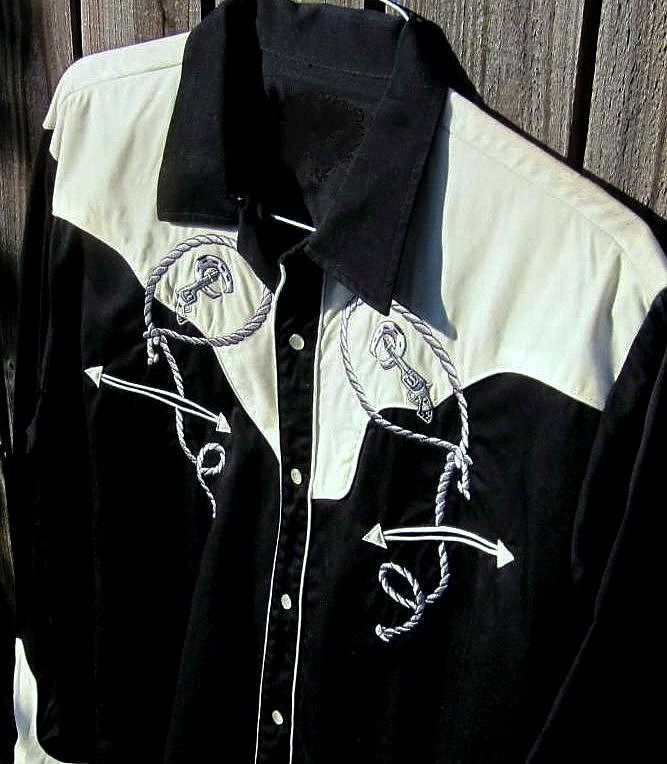 The gun and rope embroidery are silver and black. The shirt was sized XL, but it has been washed once and is more of a today's size L or 44 fit. It measures 48" around at the armpits for a 44 fit. The shoulder is 21" and the total sleeve length is 34". 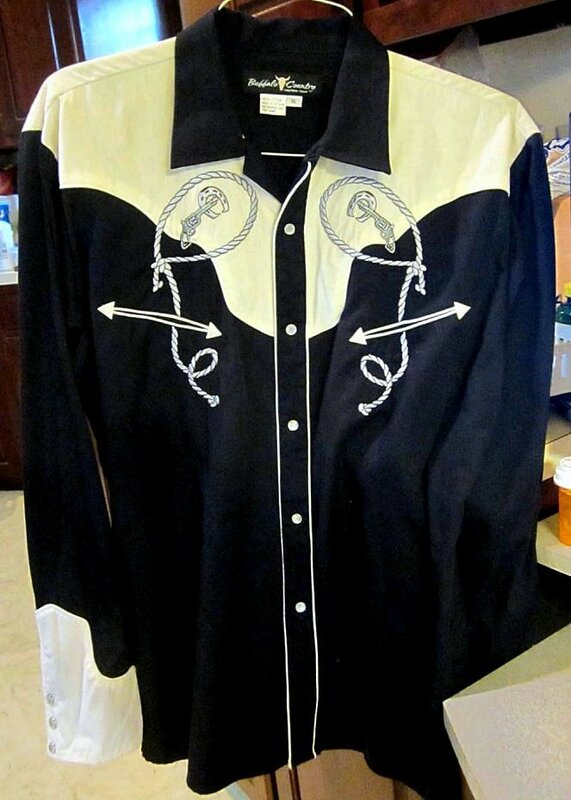 The shirt has a blurred line of shoulder dust on the left shoulder.